You are Here: UniPay Gateway > FAQ > Can UniPay gateway handle recurring or subscription billing? Can UniPay gateway handle recurring or subscription billing? 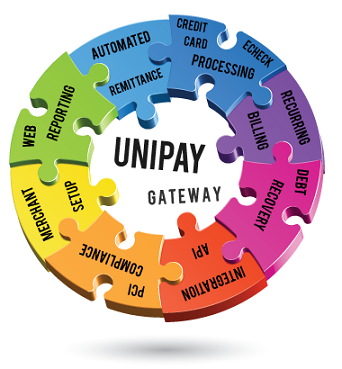 UniPay gateway does support recurring billing. When it comes to recurring billing (also known as subscription billing or recurring payment processing) there are two major paradigms, which we call committed billing and uncommitted billing. An example of uncommitted recurring billing would be an on-line subscription, which carries no minimum time commitment and requires no special handling in case of delinquency (usually the service or subscription simply get discontinued). An example of committed recurring billing would be a term gym membership or a cell phone contract. In both of these cases, if a payment is missed or an account becomes delinquent, a collections process is executed to reinstate the account and collect any past due. Simply deactivate the service is not an option. UniPay supports both recurring billing paradigms and provides special integrated features for manual collections, as well as, automated debt recovery. FAQ:Can UniPay gateway handle subscription or recurring billing? Your payment gateway questions answered by our team. Answer to a commonly asked question whether UniPay Gateway handle subscription or recurring billing.